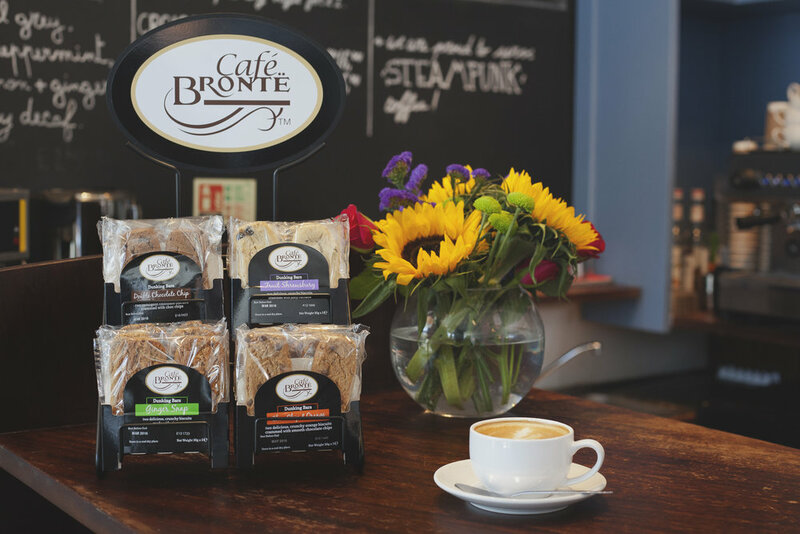 We are delighted to welcome Café Brontë as official biscuit sponsors of UK Coffee Week 2018! Café Brontë is a premium brand of sweet biscuits that was created by leading independent food producers, Paterson Arran, in response to Britain’s burgeoning coffee culture. The brand was launched at the Caffè Culture show in 2006 and has since become synonymous with the vibrant metropolitan café experience and is a favourite throughout the independent coffee sector, as well as throughout hospitality and on-board airlines. Draped in stylish black packaging, the Café Brontë range of lovingly crafted indulgent cookies, delightful dunkers and luxury shortbread takes café culture to a new level. Whether it's a milky latte, frothy cappuccino or a short and snappy espresso, you'll find the perfect companion in their range. 'We’re delighted to be a sponsor of UK Coffee Week 2018 and help support the efforts of thousands of coffee houses across the country in aiding Project Waterfall. Our partnership presents the chance to celebrate the fantastic UK coffee culture whilst giving back to the coffee growing communities. Each coffee shop taking part in UK Coffee Week will receive a delicious biscuit sample to try in their fundraising kits. If you want to try more of their biscuits, they have set up a special discount code for UK Coffee Week 2018. Click on the image below to order.